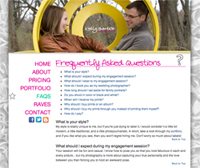 Kelly Benton is a wedding photographer in Fort Wayne. Yes, she is also my wife. The fact that she was not a paying client gave me some freedom to experiment. The objective was to help establish Kelly's brand — a fun, carefree atmosphere to attract young, easygoing brides. The icons, hand drawn by Kelly, give the site a playful feel. The homepage is intentionally uncluttered, drawing the user to watch the video and make a personal connection to Kelly. Information on other pages is easily accessible, but achieved without a traditional navigation on the homepage. The inner pages of the site feature a vertical navigation, and splashes of color accentuate Kelly's photos. 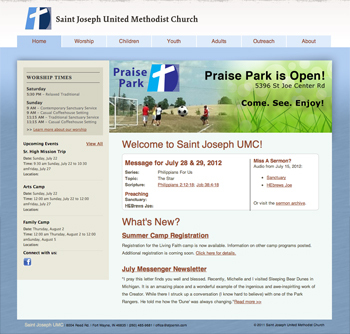 Saint Joseph UMC has a fairly large congregation, with weekly attendance around 750. After the church developed a new logo, I was engaged to expand and update their existing site with the new identity. The previous navigation did not allow all the activites of the church to be highlighted. Working with church staff, I implimented a new hierarchy to serve the needs of the church now and in the future. A feed of events from Google Calendar and administrative update panel allows multiple volunteers to revise content, keeping the homepage fresh and relevant. 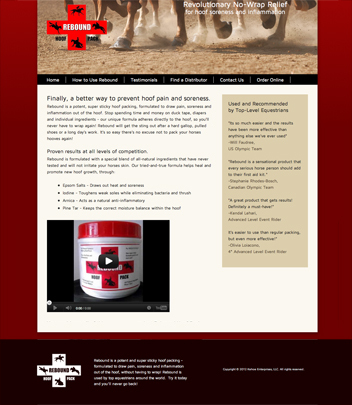 Rebound is an innovative product designed to heal hoof pain and soreness. It is endorsed by some of the top riders in the country, including Olympic athletes. Owner Ashley Kehoe approached me to build the Rebound website. 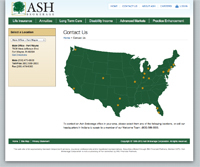 In addition to the design, the project required a content management system, so that she could make updates as needed. I chose concrete5 as the CMS and integrated into the design, allowing for easy updates and future expansion. Pandrol USA is a division of Pandrol Ltd, an international manufacturer of the clips used on railroad ties all over the world. I've worked with Pandrol USA since 2005. After developing a new logo in 2010, Pandrol needed a new website that reflected their new brand. The vertical navigation, along with the floating header and footer give the site an open feel. 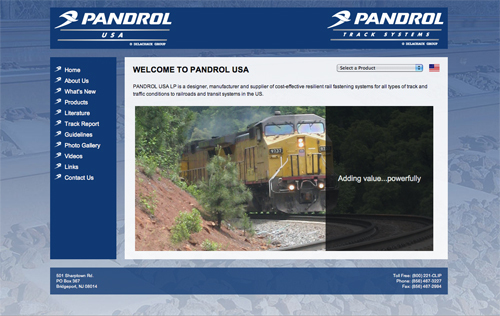 A image of a railroad installed with Pandrol clips spans the full background of the site, creating a distinctly unique identity. 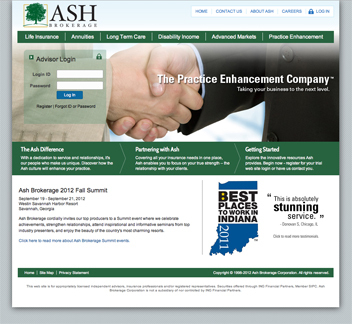 Ash Brokerage hired me as a full-time web designer in 2009. Their website was full of information, but lacked two key qualities: brand consistency and lack of accessibility prior to logging in. Working with executive management, I simplified the color pallet and reduced clutter. The large handshake matches the imagery used in Ash's print materials. The bottom footer grounds the site, creating a clear frame of content between the top navigation and the footer. 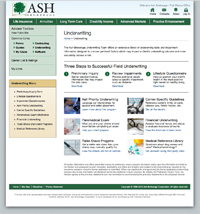 The revision was overwhelming positive among users, receiving an overall satisfaction rating of 98% in a 2009 survey. Copyright © 2012 Ryan P. Benton.